Casa de Vida - Where your donations go. A residence for pregnant young women with a live-in housemother. A semi-independent, transitional living home for parenting young women and their infant children. Case management services provided by our licensed, professional social worker for our clients and any other pregnant and parenting woman in the community. Parenting, budgeting, nutrition, and child development classes. Assistance in completing educational goals and finding jobs, childcare, and permanent housing. An emphasis on the value and dignity of each client. A Baby’s Closet that provides free infant clothing, diapers, formula, and baby equipment for our clients and those in need throughout our community. Women and Children's Center of the Sierra - Where your admission fees go. Did you know that when you pay Just Between Friends' admission fee you are giving to an extremely worthy cause? And we're not talking our pockets. 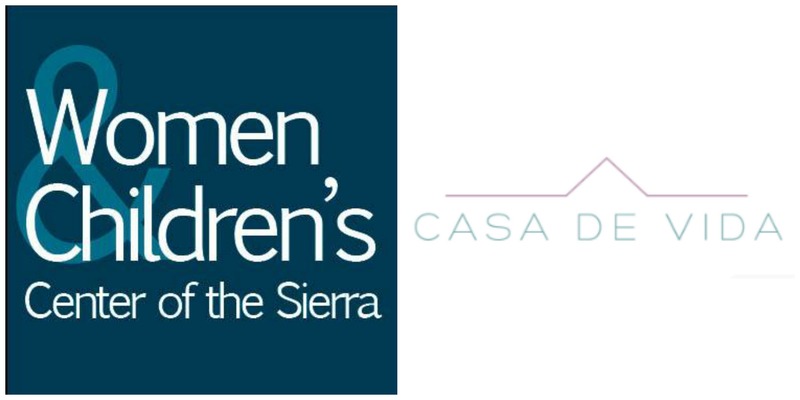 We are proud to donate ALL of our admission fees to The Women and Children's Center of the Sierra. At our last event we were able to give them a check for $1,900.00! All because of our very generous shoppers. What is The Women and Children's Center of the Sierra? The Women and Children’s Center of the Sierra provides education, job training, resources and support to help women escape or avoid poverty and provide a better life for their families. • Situational, possibly caused by a job loss, divorce or a death. • Generational, where three or more generations have lived in poverty. Our clients have made a deliberate choice to leave poverty and public assistance programs behind, and raise their children with middle class values and expectations. • Nevada’s children rank 49th in economic well-being. • One out of every five Nevada children lives in poverty. • Growing up in poverty is one of the greatest threats to healthy child development. Poverty and financial stress can impede children’s cognitive development and their ability to learn. It can contribute to behavioral, social and emotional problems and poor health. • The recession exacerbated both unemployment and under-employment . Even a full-time job at low wages doesn’t necessarily lift a family out of poverty. • Nevada’s children rank 46th in heath. • 17% of Nevada’s children do not have health insurance. • Children’s health is the foundation of their overall development. Poverty, poor nutrition, lack of preventative health care, substance abuse, maternal depression and family violence puts children’s health at risk. Poor health in childhood impacts other critical aspects of a child’s life such as school readiness and attendance and can have lasting consequences on their future health and well-being.